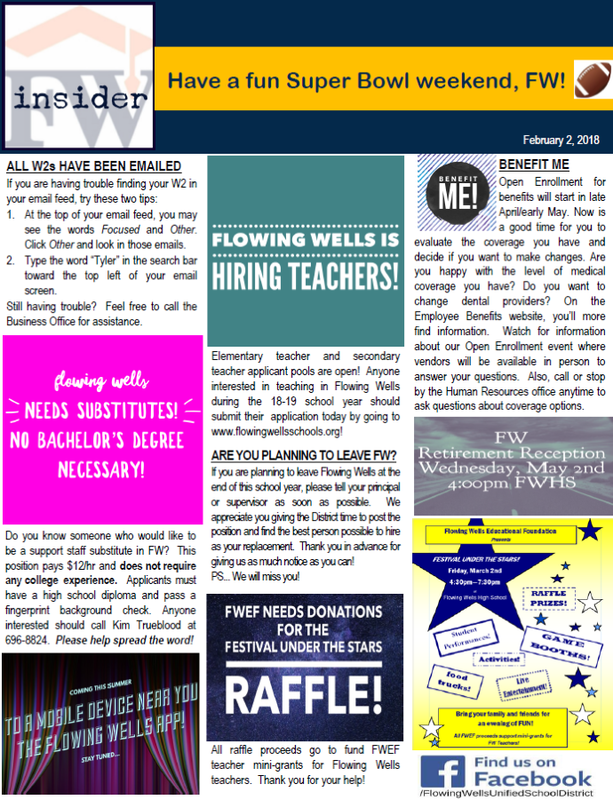 Welcome to the Flowing Wells Insider! The Insider is our employee newsletter that is published every payday Friday during the school year. It informs employees about important information, announcements, and celebrations. If you have any questions about the information in the FW Insider, please contact Danielle Rubio at 696-8822.